There are people whose talents and delicacies are also visible in their appearance. Sabereh is one such person. I was interested in becoming a pilot as a child. I also liked architecture. In my spare time, I played violin and daf (an Iranian instrument of percussions). I enjoyed carving and calligraphy, made miniature carvings, and spent hours on end on arts and crafts. Art was therapeutic for me and soothed my soul. I came to know the PMOI and the Iranian Resistance through the radio and their supporters surrounding me. Poverty and societal issues were especially hard for us girls, and each passing day put greater pressure on us. We were forced to wear the chador (one-piece cloth covering head to toe) at school as of the age of 11! On my way to school, I repeatedly came across young and innocent children who sold goods on the streets in order to provide for their families. Witnessing such scenes on a daily basis and over the weeks, months, and years had made life intolerable and painful for me. I was in search of a way to change this situation. On an exceptional occasion, in the summer of 2004, I had the chance to travel along with a few relatives to Ashraf, to visit their loved ones. It was a great opportunity. When I went to Ashraf, it was as if a drop of water had joined an ocean of its dreams. I found myself in a large group of women and men who were pursuing my aspirations, fighters seeking to free Iran and rid our people of all the oppression and misery brought about by this regime which was making life hell for everyone. 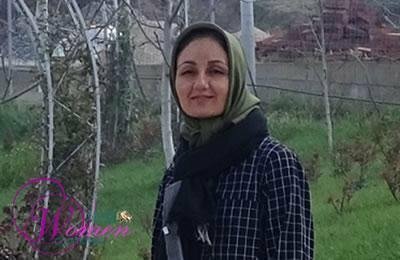 That day, I decided to stay in Ashraf and devote my life to the liberation of my people; I felt that I could be one of the countless Iranian freedom fighters and one of the builders of a free Iran. Ever since the day I joined the freedom fighters of my country, and throughout these years, I’ve had the honor to endure the dangerous conditions of Ashraf and Liberty by relying on these great women and men, and despite the adverse and constant changing circumstances, especially in the past 14 years, I have never felt so much peace within me. Because at such moments, I felt this is the price I have to pay for choosing this struggle and the liberation of my homeland!